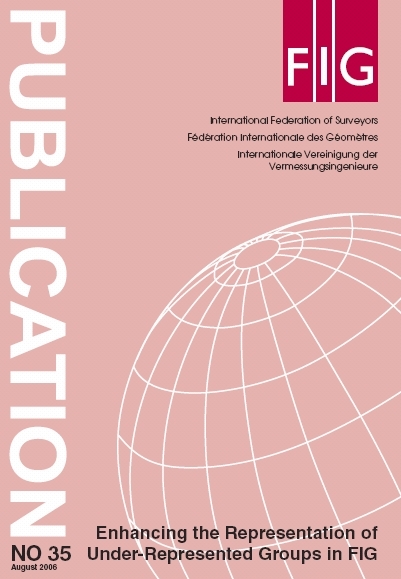 The International Federation of Surveyors (FIG) has been worried how to get women, students, young surveyors and other under-represented groups better integrated in the work of the Federation. This includes from FIG point of view participation to events, commission work and other activities. However, the integration is even more important for the surveying profession and the representatives of these groups themselves. Without young professionals and by keeping the profession attractive there will be no future for any profession. This applies also for surveying. Together with cultural and language issues the problem how to get under-represented groups better involved in the FIG activities has been on the main focus of the Federation for the last ten years. In 1996 FIG established a Task Force on Under-represented Groups in Surveying to discuss these issues and to create FIG policy on this topic. The Task force has been active during the past ten years first as a task force and for the last four years as a joint Commission working group. The group is publishing a quarterly newsletter addressing many important topics, describing good practices and introducing profiles of surveyors that have been pioneers in our profession. In addition the group has made proposals how to assist young people to attend our conferences and further by organising sessions and special meetings for women and young surveyors at the events and by this bringing new platforms for communication within the Federation. For the whole time the Task force and working group has been chaired by Ms. Gabriele Dasse from Germany, who has been very devoted to these topics and promoting the role of under-represented groups in surveying. 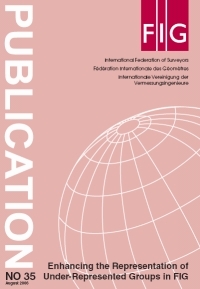 This report is prepared by the working group and some additional experts and it includes recommendations and findings of the Task force and working group for the policy of FIG in enhancing the representation of under-represented groups in FIG. The FIG Council has decided to bring this report to the General Assembly for endorsement an FIG policy document. I want to express my special thanks to Ms. Gabriele Dasse, Chair of the Working Group, along with following experts: Clarissa Augustinus, Clara H. Greed, Boo Lilje, Tommy Österberg, Dory Reeves, Siraj Sait, Jennifer Whittal and Wendy J. Woodbury Straight for their contributions to this report. Gabriele Dasse, Germany: Wanted: Women Engineers!